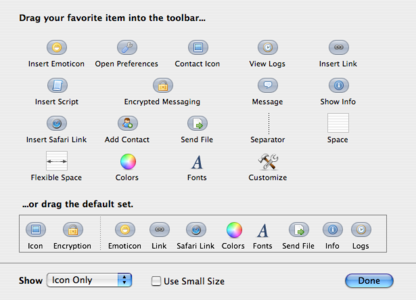 Combine the popular Silk iconset with mail style button. Drag all png files into your Adium/Contents/Resources and choose "Replace All"
I'm not really one for the mail buttons but these beat the default icons hands down thanks. I like this a lot, nice work. 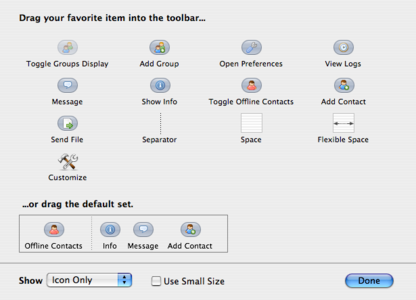 My only suggestion is that you include a screenshot of your contact list and message window with the toolbar shown to show what it looks like. Where did this wonderful extra go? I miss the unfied look it gave Adium!